9-year-old Gabe (Gabriella) Murray lives and breathes hockey. She's the youngest player on her new team, she has a nifty move that her teammates call "the Gabe," and she shares a lucky number with her hero, Hayley Wickenheiser: number 22. But when her coach hands out the team jerseys, Gabe is stuck with number 9. Crushed, Gabe wants to give up hockey altogether. How can she play without her lucky number? Gabe's grandmother soon sets her straight, though -- from her own connection to the number 9 in her hockey-playing days to all the greats she cheered for who wore it, she soon convinces Gabe that this new number might not be so bad after all. 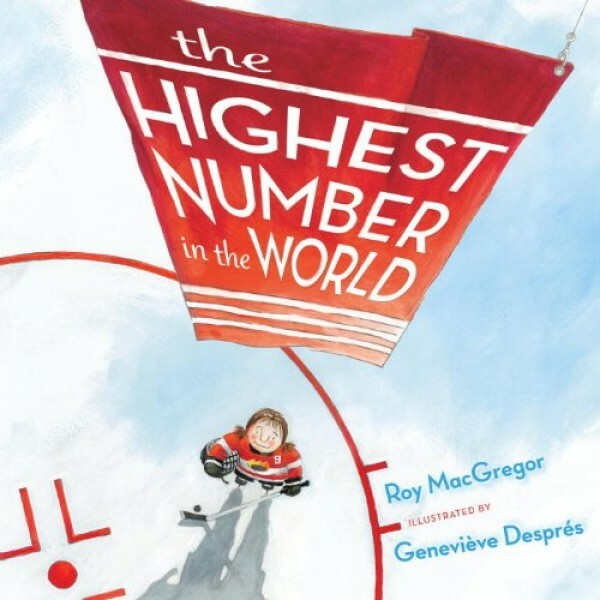 A lovely intergenerational tale and a history of the storied number 9 in hockey, The Highest Number in the World is a must-have for any hockey fan.